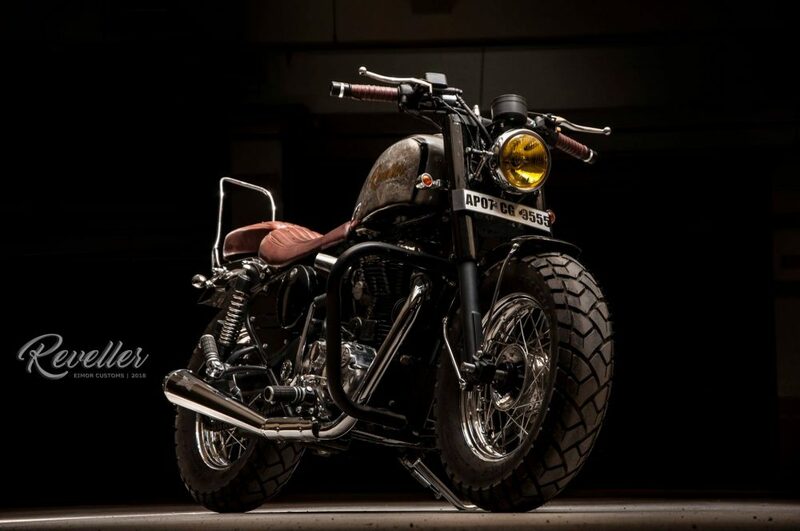 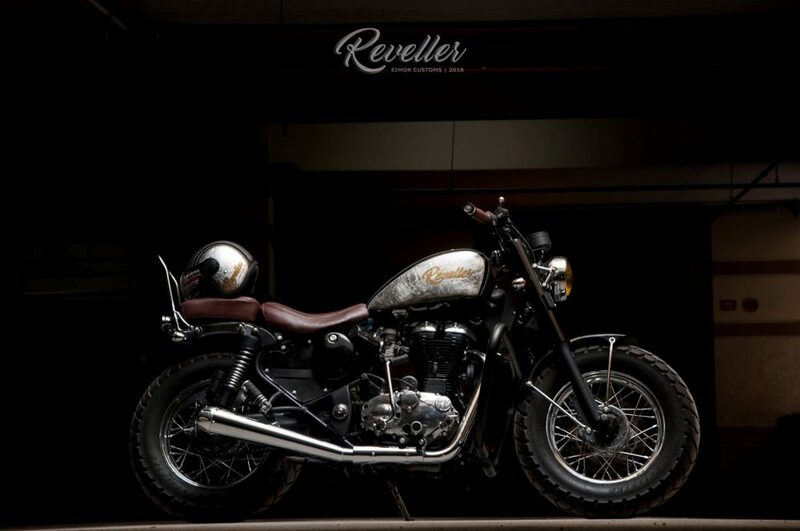 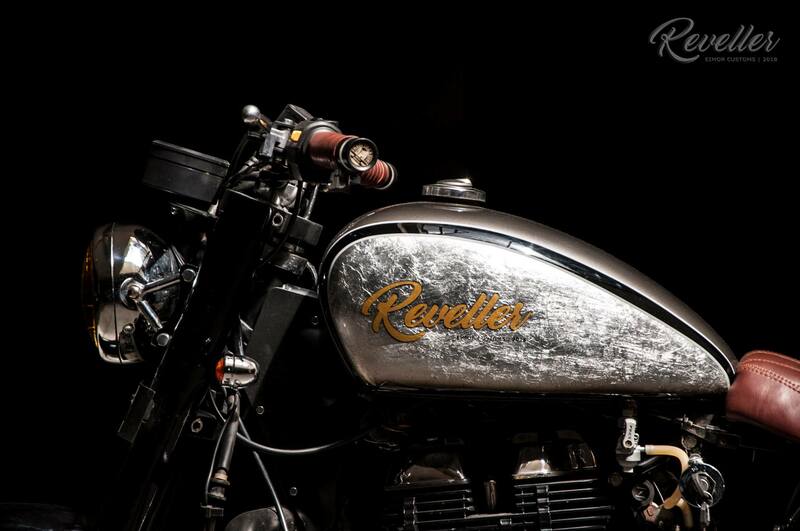 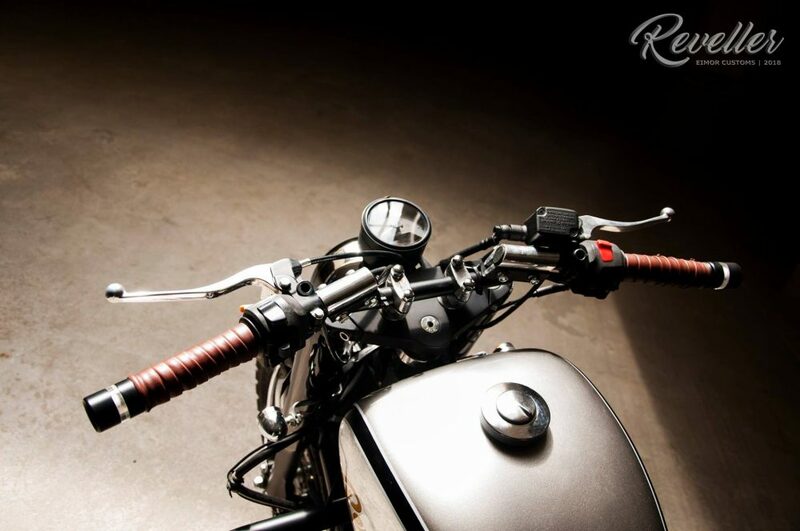 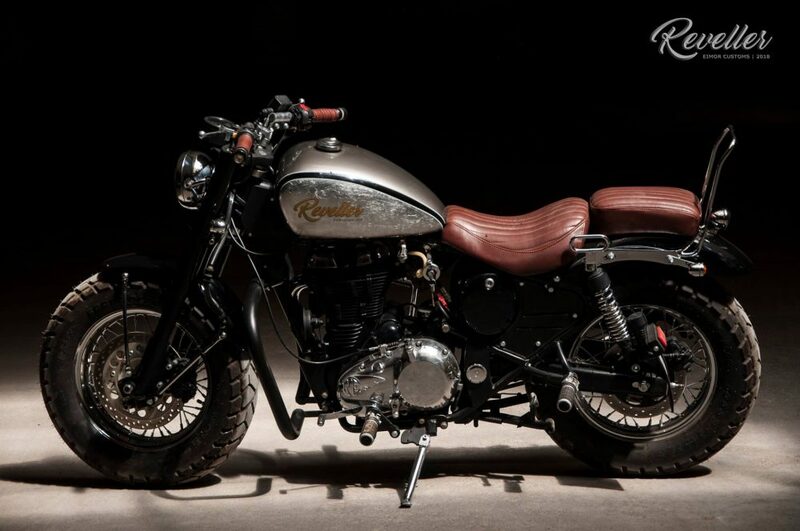 EIMOR Customs are here with Royal Enfield Thunderbird 350 Reveller. 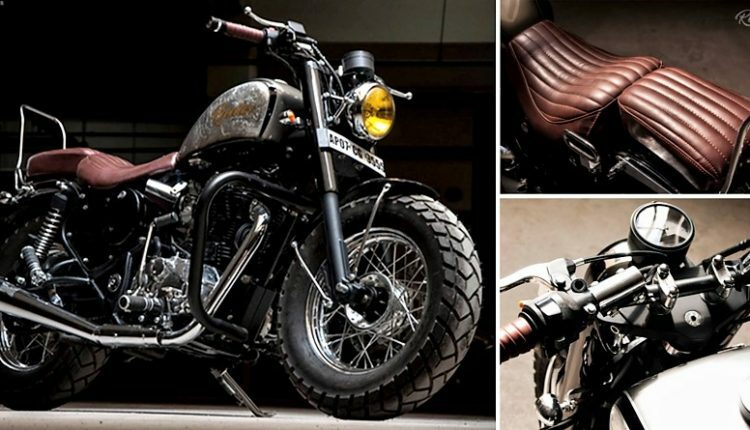 The custom bike has been made using design inspiration from a Bobber but adds practicality of a cruiser through dual seats and rear grab rail. 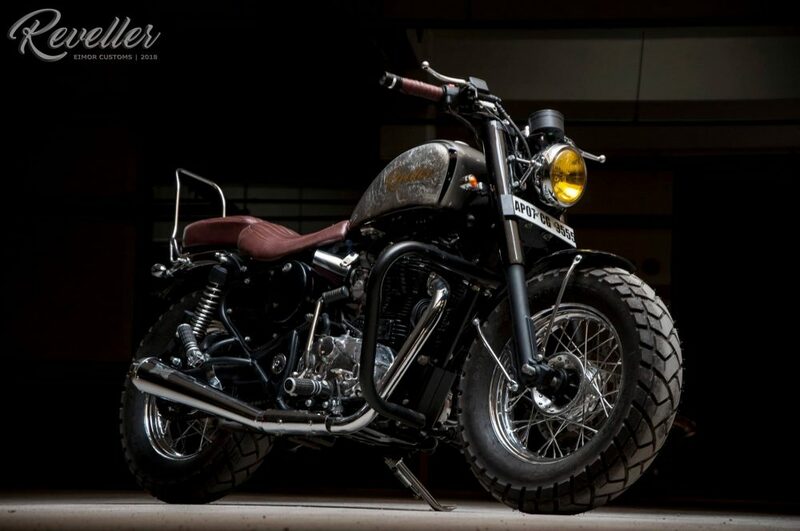 The motorcycle is available with a different set of spoke wheels that are smaller in diameter. 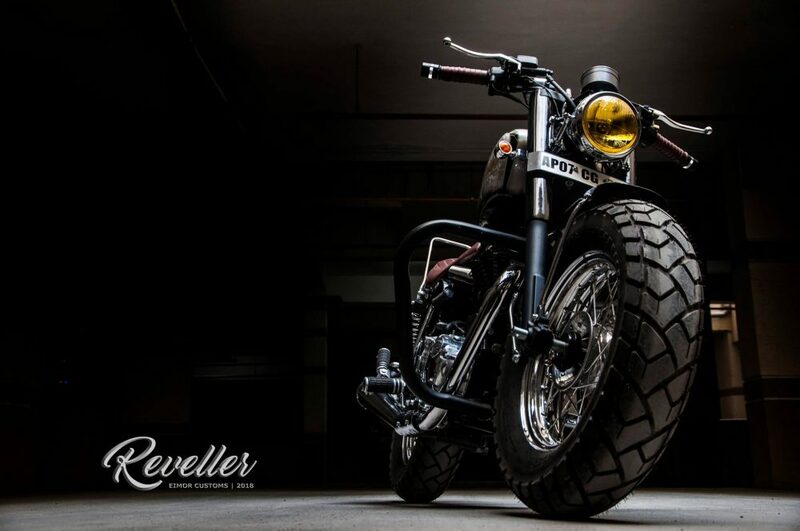 The compensation for this lack of size is done with thick front and rear tyre, both getting the off-road-friendly pattern with thick blocks. 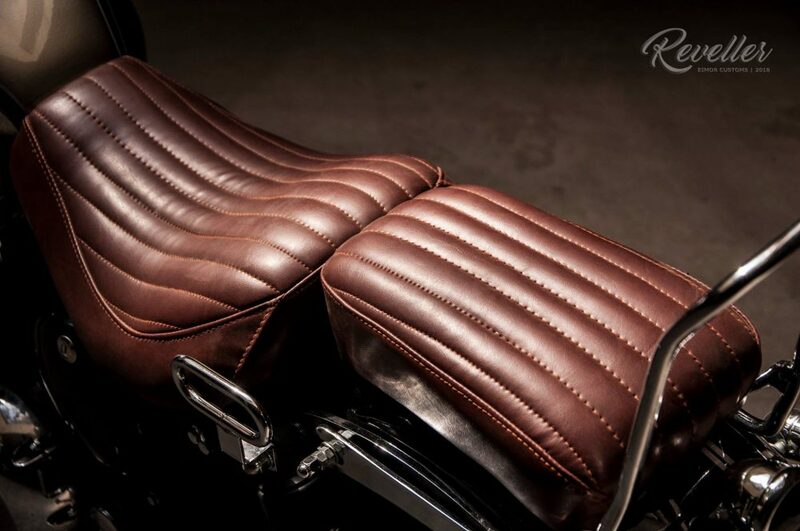 The profile at the lower end is completely different from the one that an amateur rider will imagine by looking at the seat. 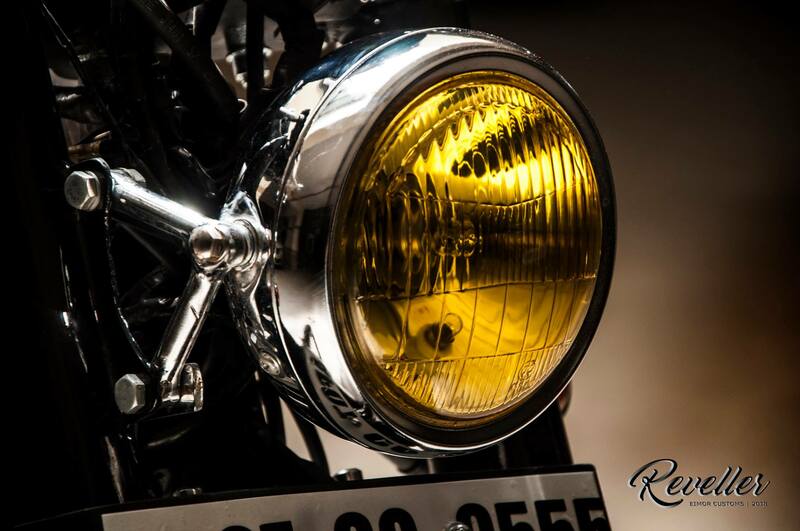 The front suspension stays stock, finished in black and getting a body colored cover. 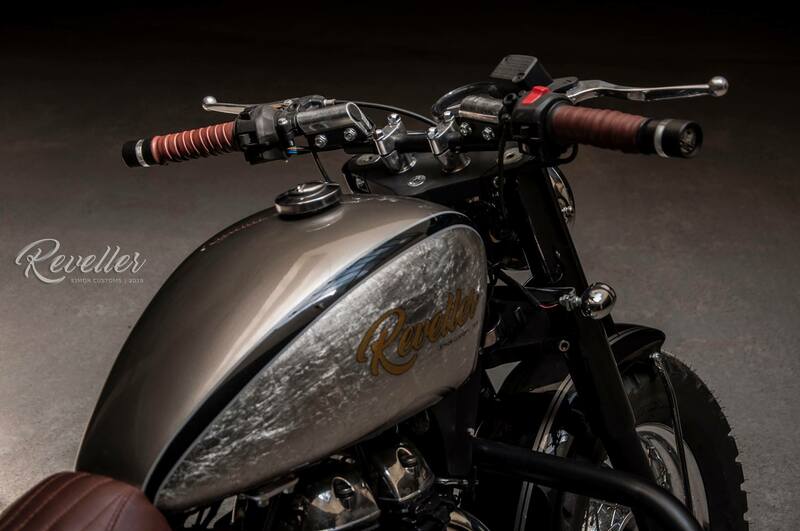 The fuel tank is replaced with this massive unit while handlebar comes with matching grips to the seat color, both finished in the brown shade for a premium overall look. 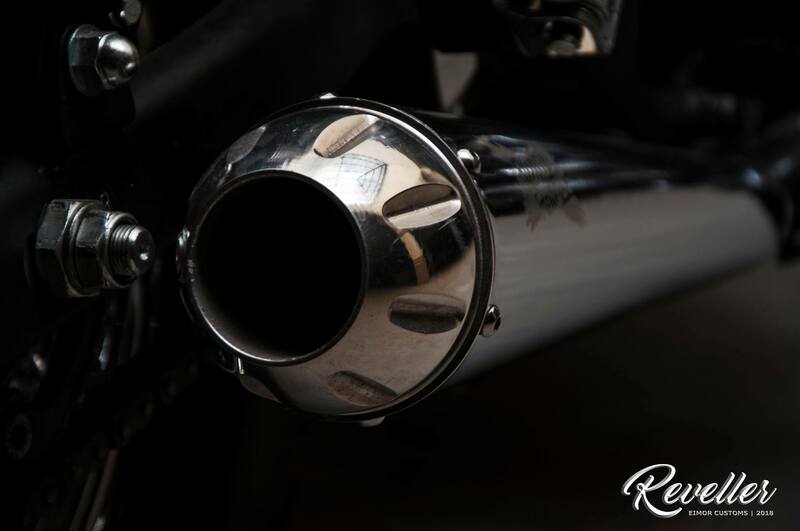 The exhaust unit is fully chrome and raised like the one seen on new Interceptor 650. 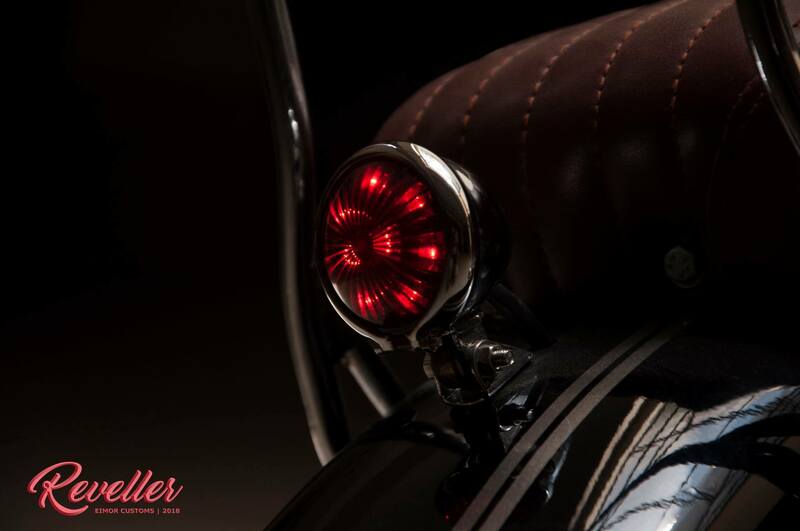 The advanced front headlight unit from Thunderbird has been replaced with the vintage yellow illumination headlight. 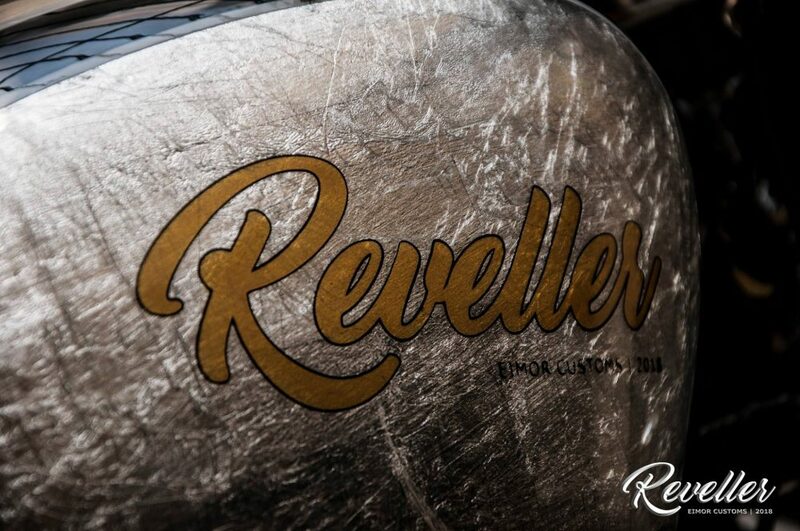 Even the complete console is now swapped with a single pod unit on the Thunderbird Reveller. 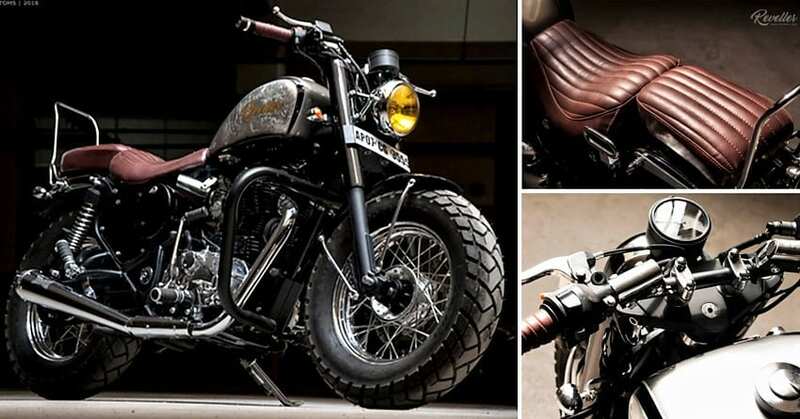 The handlebar now offers sporty riding position while fuel tank finish is way beyond perfection for a custom motorcycle.